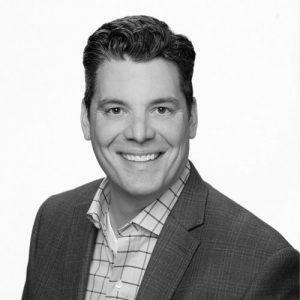 Jeff Showalter currently serves as the Chief Development Officer & General Counsel for JHNA, a high growth government contracting firm focused on science & technology engineering services for current and future weapons systems, aviation & robotic systems & emerging technologies. Jeff has more than twenty years of professional service advising non-profits, start-ups, emerging growth companies, technology companies and government contractors and those who invest in such companies on overall strategy, fund-raising activities and related investment strategies, contracting and intellectual property-capture processes, organizational structure, corporate governance, corporate compliance, business development, human resources and all facets of commercial transactions and mergers and acquisitions. His work as an organizational leader, lawyer, investor and business consultant roles enables him to work successfully with a wide array of stakeholders—to include owners, investors, employees and shareholders. Jeff thrives in building long term “win-win” relationships with employees, customers and partners. He is a graduate of the U.S. Military Academy at West Point and served five years as an Army Finance Officer. Degrees include a Bachelor of Science in Management from the U.S. Military Academy, a Master of Business Administration from the University of South Carolina and a Juris Doctorate from the George Washington University Law School. He is a member, director or advisor to multiple organizations devoted to veterans’ issues and education and is active in industry groups devoted to government contracting, early stage investing and technology.